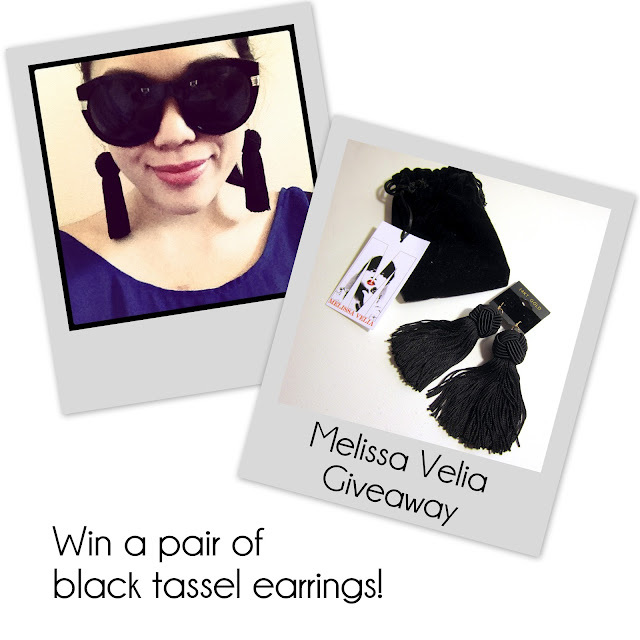 One of my favorite designers, Melissa Velia, has generously offered a brand new pair of her "At the Opera" earrings in black to one of my lucky readers! 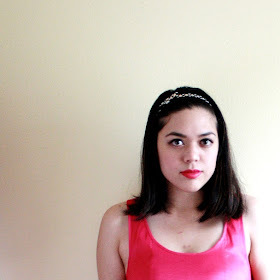 You may have seen me wear my own pair on my blog a few times. I love that they add instant drama to any outfit, and have a cool retro vibe to them. They look great with up-dos--especially buns. I also like wearing them with black and white outfits, and bright shoes or handbags. Melissa Velia's "At the Opera" earrings are hand crafted with 14k gold plated fish-hook findings and fine rayon (valued at $25 USD). Earrings come in a black gift pouch. Leave a comment in this post describing the dream outfit you would wear with these earrings. You must complete both mandatory entries in order to be eligible for the giveaway and additional entries. Your e-mail address will be kept private and is only used to notify the winner.